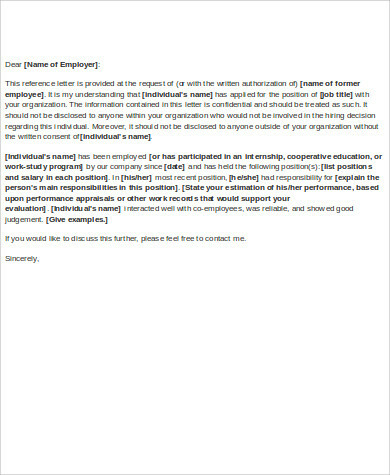 Employment reference letters are usually written by employers for their former employees. As an employer, you also want to make sure that you customize the letter for the job your former employee is applying for. 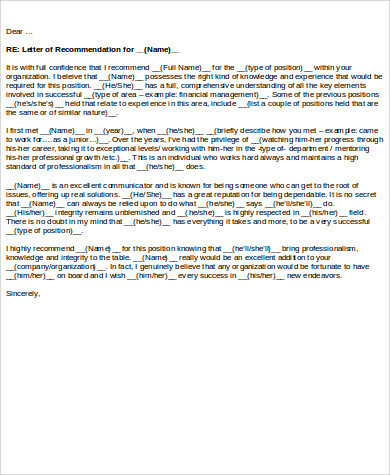 You want to make sure that you are able to find the right words to say because the reference letter you will be writing could either make or break the future career of your former employee. These Sample Letters for employment reference will serve as great guidelines when you are tasked to write one. Through these samples, you will have an unclouded understanding of how you can structure your own. Ask for a copy of the job description. Include keywords from the job description into the reference letter. Mention situations where the employee showcased various skills. Quantify their success by using numbers. Make the candidate stand out by pointing out his/her strong points. State how the person was an asset to the previous company and how he can contribute to the new one. Leave your contact details so that employers can communicate with you should they have further questions about the candidate. Should there be any guidelines regarding submission, ask the candidate about it. The sample templates presented here give you an idea of what kind of content you should be writing for the letter. 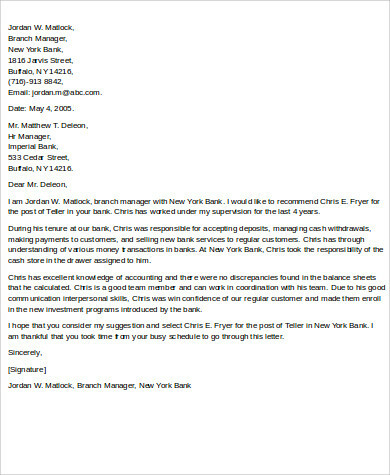 These templates become guides on how you should format your reference letter. This includes the length, layout, font, and organizing your thoughts in writing reference letters. These templates can be easily tailor-made for the candidate you are writing for. 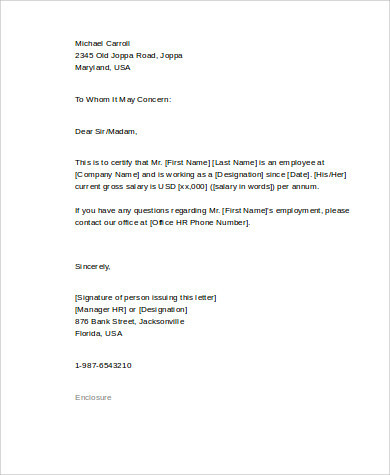 You can also refer to Reference Letter Formats and Character Reference Letters to check out more reference letter templates. 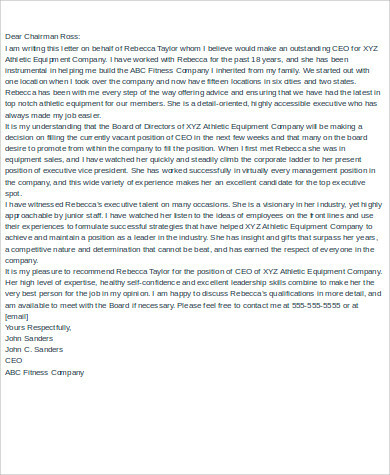 If someone asks you to write a reference letter, it can be quite flattering and daunting at the same time. 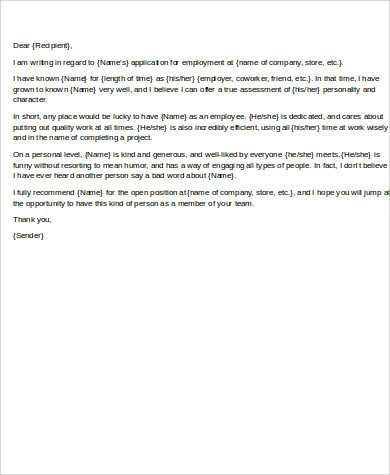 If you are sure that you can write a compelling employment reference letter, you should accept the opportunity. In any case you are not up for the challenge, you can politely decline. This is because writing employment reference letter all depends on your relationship with the employee. But in writing one, it is always good to focus on an employee’s professional skills and incorporating in a few personal qualities. In writing employment reference letters, always imagine yourself as the prospective employer reading the letter. Imagine what they would like to hear, what they want from the candidate, and what they need to know about the candidate. Be honest in writing our letters and focus on the most useful information that could give the candidate a good leverage for his/her future employment. The employment reference letter samples presented can give great ideas on how you can draft your own. 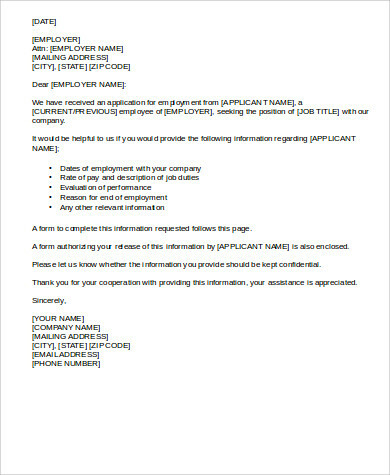 You can certainly modify these sample letters for the candidate you are writing it for. You can also download these samples so that when the situation when you need to write one arises, you have a template handy. 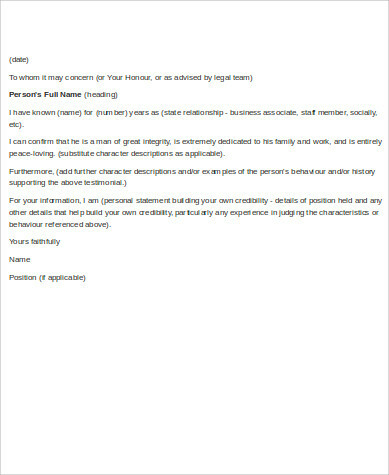 You may also refer to Landlord Reference Letters.